I’ve started working on a new series for the Gazelli Art House digital residency. I’m using the Procreate application with a slightly modified brush setting. I am painting from observation and directly from slo-mo iPhone recordings of the sitter which I find fascinating. This painting is of Eduardo Stein, a great local oil painter, friend and mentor. 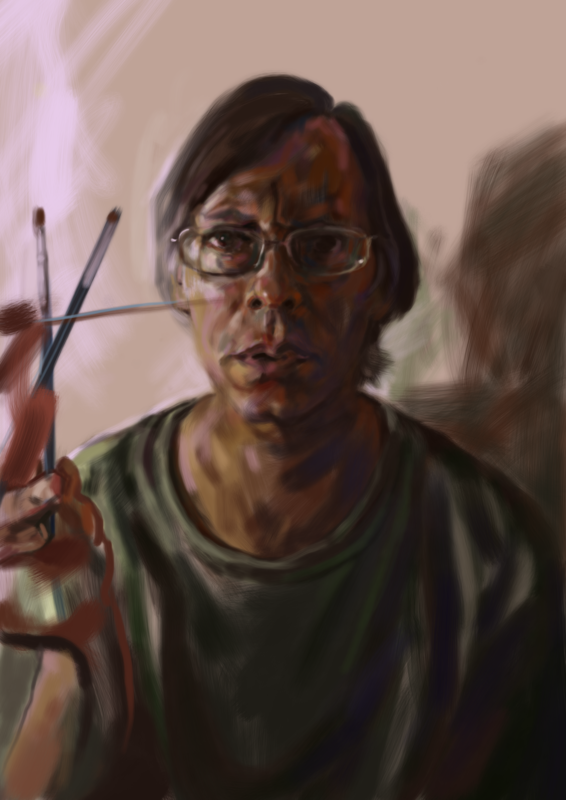 Painting from a video of a moving subject is closer to the real life experience and has pushed me to be more inventive. The video acts as an aide-memoire of the experience.